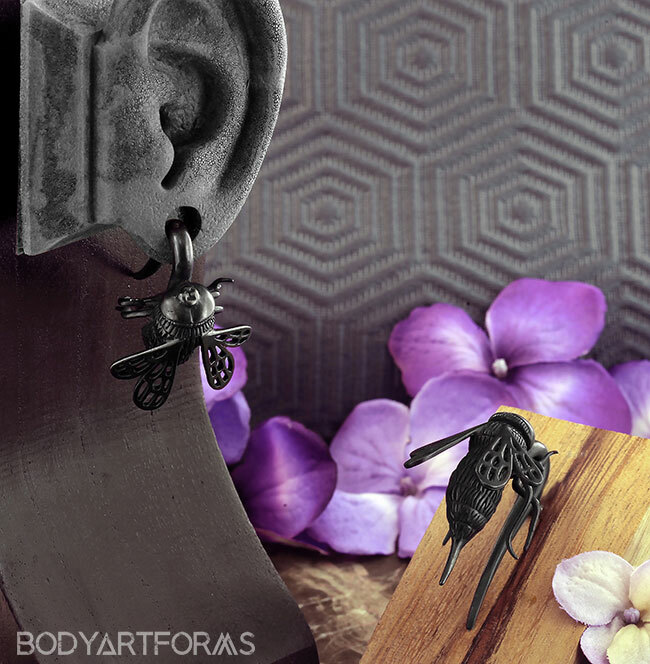 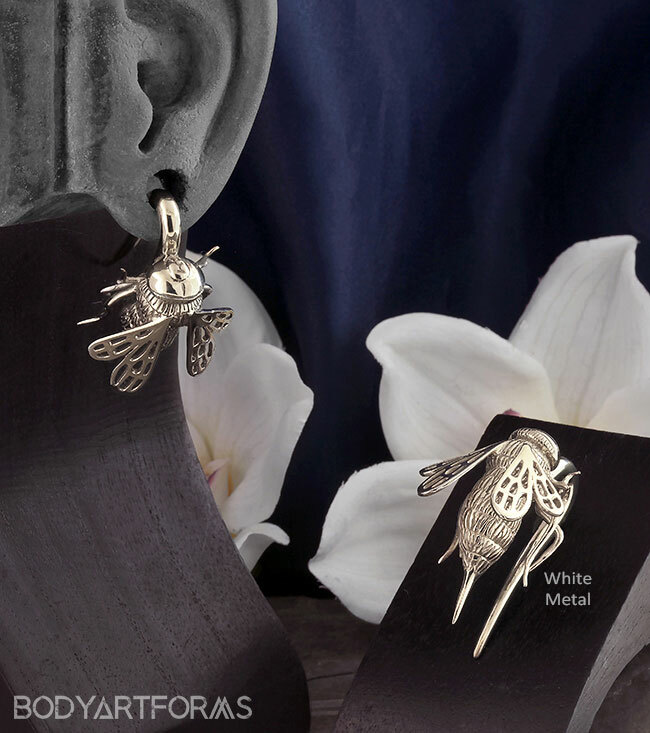 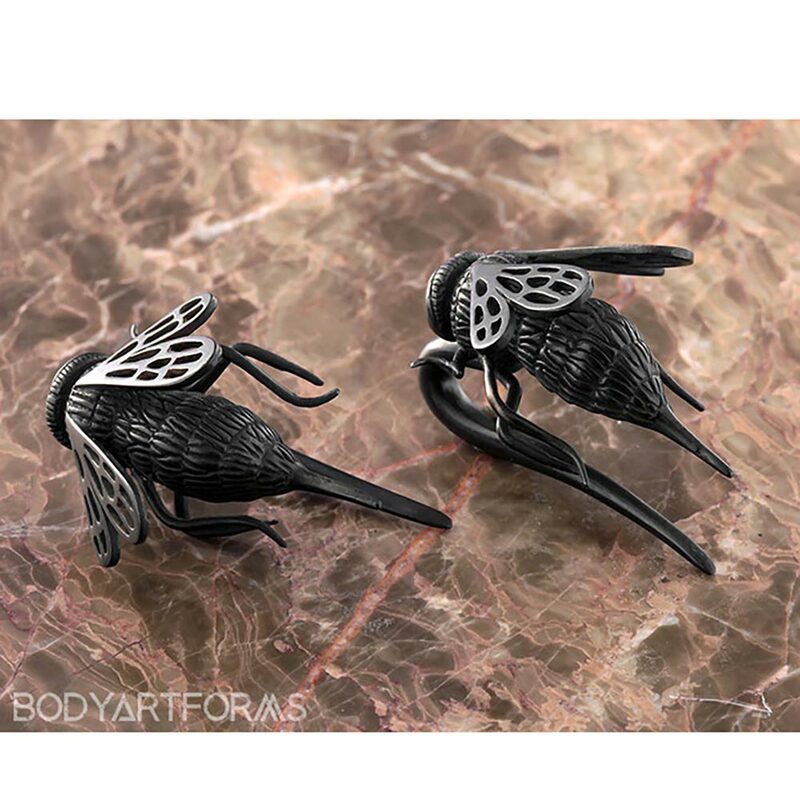 Buzzing in to steal your heart are these hanging bee weights by Tawapa. 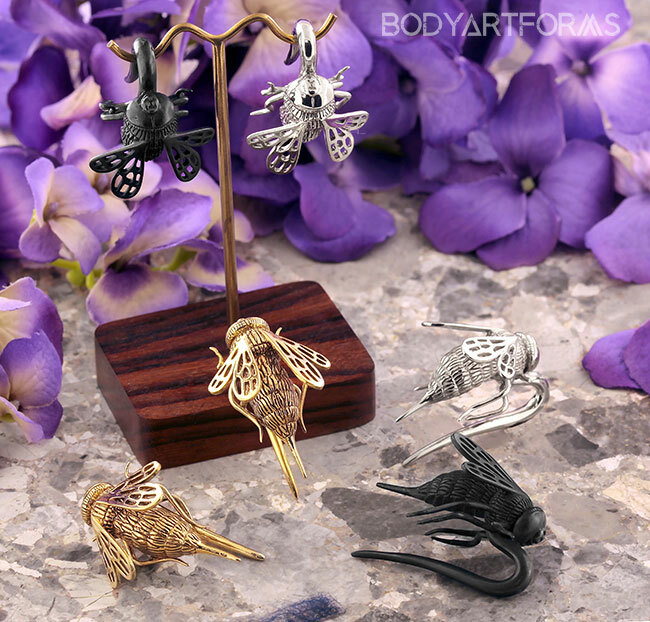 Made in gunmetal, brass, or white metal, there is an option to match any outfit. 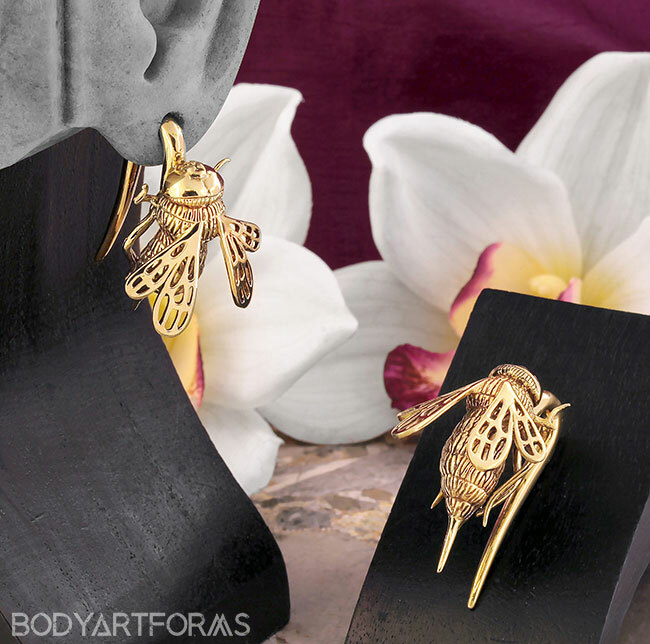 The stinger and legs of the bee have a sharp point.